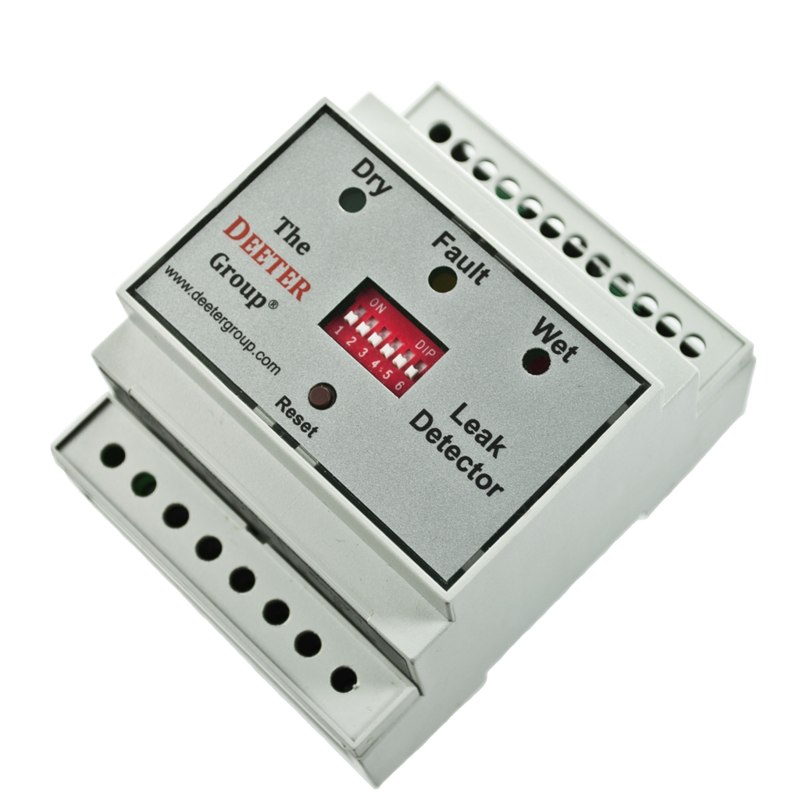 Ideal for Server Rooms or Basements, the Deeter Leak Detector System comprises a Leak Detector Controller and a series of Leak Detector Sensors connected in a chain to the Controller via a 3-core cable. The Sensors will detect a conductive liquid (e.g. water leak) between a pair of probes on their underside. The Controller will respond to a leak detected at any one of the Sensors. The Controller provides an LED indication of wet or dry conditions and will also detect a fault, should one occur, in the sensor cable. The Controller provides three outputs (two SPDT relays and an open-collector transistor) that may be used to directly drive pumps and alarms, or may be used to interface to other equipment, such as Programmable Logic Controllers, Building Management Systems, and dial-up alarms systems.